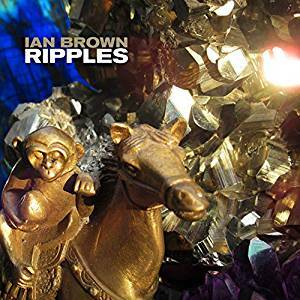 Ian Brown premiered the official video to his brilliant single "From Chaos To Harmony." The video was filmed on location in Southend-on-Sea and was directed by John Nolan. "From Chaos To Harmony" features a lyrical nod to The Stone Roses "dried up Roses turn to Stone" -- and now the video makes an equally intriguing statement. Of interest is the gold plated lemon coin the boy in the video uses to make the (somewhat creepy) head play Brown's music which seems to illustrate that one must trade in the Roses in order to hear Brown's solo music. You be the judge. Regardless, it's a brilliant song and one of the highlights on Brown's new album Ripples.